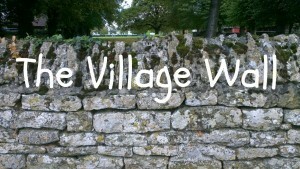 Latest updates on new features and changes to the village website. How’s the weather looking for the next 5 days? In case you haven’t noticed, our Village website now has a weather page courtesy of the Met Office, which displays the local 5 day forecast for North Luffenham… well Ketton really, but close enough! This entry was posted in Website Admin and tagged Weather on April 27, 2013 by North Luffenham. This infographic shows facts and figures for visit activity to this website during 2012. You can also view the interactive infographic page by clicking on any part of the image below. One thing it neglects to mention, is that we now have 16 subscribers to post updates via email, which is a great start, and hopefully this will continue to grow throughout 2013. If you haven’t already, please remember to submit your email address into the subscription box in the top right of any page, and please pass on the word to your fellow villager to do the same. Perhaps we can make it to 100 subscribers by the end of the year! Thanks to all the subscribers, visitors and village group contributors for your support so far! This entry was posted in Website Admin and tagged Reports, Stats on January 13, 2013 by North Luffenham.